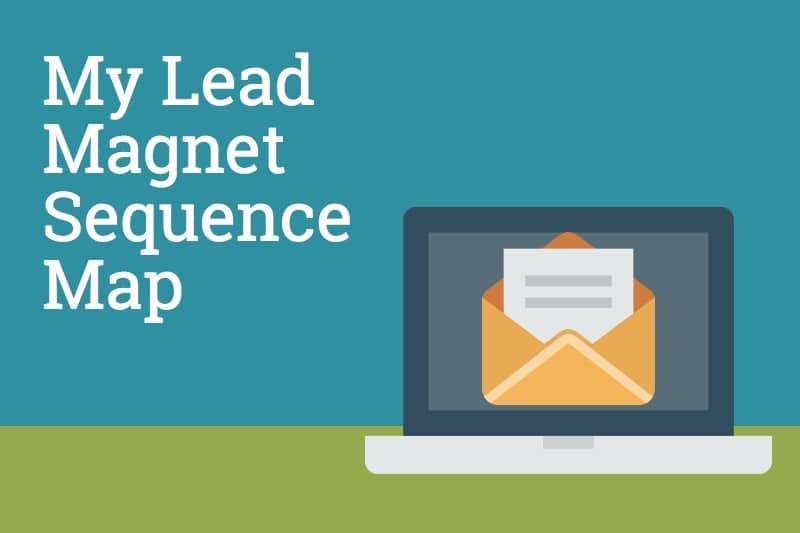 You spend all this time creating a lead magnet, you set up the opt-in sequence in your autoresponder (or not), get the form created (or you create it in Thrive Leads through the API connection) and add it to your site. You’ve got the main opt-in, maybe a sidebar, post-footer… even an exit pop. … and then you go about your business. Please tell me I’m not the only one who has done this? Now that I’ve ‘cleaned up’ my Active Campaign account (I actually created a tagging framework as well as some structure for lists that all tie into the end goal of my site), I decided I’m going all in with lead generation. First, bear with me if you come to the site and see my new lightbox for the 1 Page Mktg plan. I’m testing Convertflow and have to decide how to tag existing subscribers so you don’t see the popup (it’s disabled on mobile). I’ll get that sorted this weekend. Since I tend to ‘back into’ things, I started with the different lead magnets I have (or am working on… I’m updating my Top 10 Tools I Use to Profit with WordPress. That converted really well). The first sequence is completely done. The beauty of this is that I can duplicate the automation in Active Campaign, then I just need to go in and edit the email copy. Taking the time to visually map this out and then going through the map and setting up the integration has been hugely helpful. Not only do I ‘get it done’, inevitably I catch other things that need to be cleaned up or dialed in. On one hand, it adds more work, but it all needs to be done, so I’m not complaining. The diagram above is an example of what I do with my students in the Content Strategy Workshop. 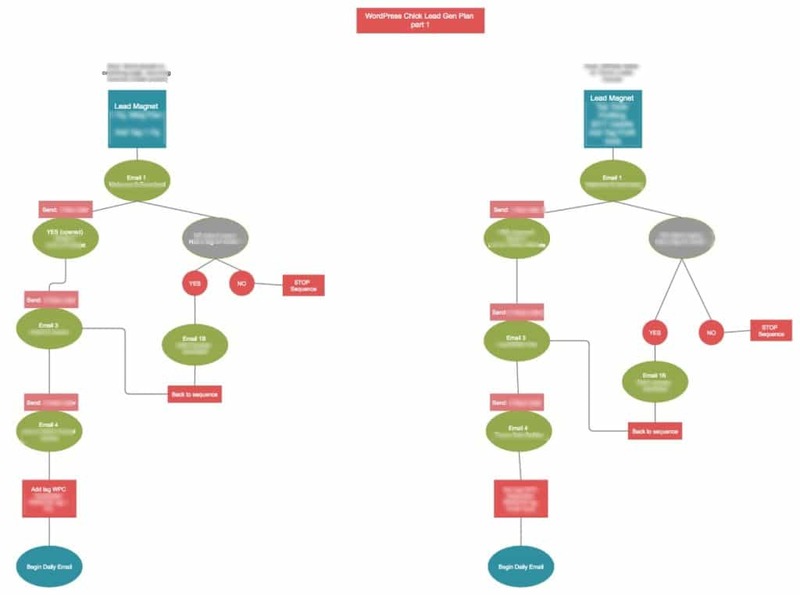 But instead of the email sequences for lead magnets, we do a visual map of their monetization methods. This is a one-on-one Skype call where we take their products and services then map out the content that leads to their offerings. This is the second (and last) beta version of this course I’m running (it starts April 13th, but I’m limiting space again because of the individual calls). I’ve also decided that I’m going to package a lot of these templates (the map above), add a video to explain each template and sell them. As a student of the Content Strategy Workshop, you’ll get them all… free (and lifetime access to the course as it expands). I’ll follow up with you to schedule your call. Hi, I am Kim Doyal: Entrepreneur, Podcaster, ContentCreator, Optimist. Over 10 years into this online business journey, I believe that #EverythingIsContent and we can all #JustShowUP. © 2019 Kim Doyal - All Rights Reserved.